Wine is a crop for which the Calabrian terroir effect has been demonstrated. The ‘‘terroir concept’’ has become popular in many parts of world. Originally developed for wine, it is now applied to many other quality crops, but surely mainly for wine. Although it is well recognized that vineyard soil is one of the main factors characterizing terroir, it is also well known that soil properties can vary markedly even within a single field, so that a vineyard, for instance, can produce two or more contrasting types of wine. The optimization of agricultural husbandry in relation to soil characteristics is the main focus of Agriculture in Calabria. chromatographic, spectroscopic, and mass spectrometry techniques. 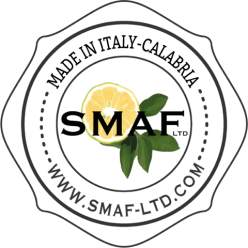 DNA analysis, using the DNA-barcoding methodology, allows a fingerprint for every product to be identified, guaranteeing its origin and quality. In 2009 a metagenomic experiment was conducted in Sila about potatoes (three types of soil were identified and their related metagenomic markers), the extension of the method to wine is still only a future persepctive. The process is the identification of so-called molecular markers for the traceability of the agricultural food chain, and it can become a new challenge for the protection of high-quality products. In the world, instead, the last 2 decades have been characterized by an important change in the approaches used for microbial examination, due to the introduction of DNA-based community fingerprinting methods such as DGGE, SSCP, T-RFLP, and ARISA. 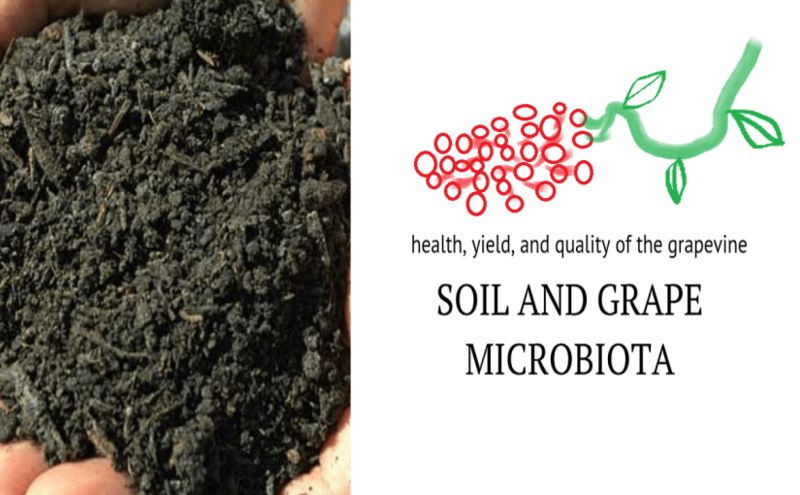 These approaches allowed for the exploration of microbial community structures without the need to cultivate, and have been extensively applied to decipher the microbial populations associated with the grapevine as well as the microbial dynamics throughout grape berry ripening and wine fermentation. These techniques are well-established for the rapid more sensitive profiling of microbial communities and these metagenomics approaches to vineyard microbial ecology especially unravel the influence of vineyard management practices on microbial diversity. A very important attempt to identify the metagenomic origin of wine of rice was done by some Chinese scientists (we are citing the well known article “Metagenomic sequencing reveals the relationship between microbiota composition and quality of Chinese Rice Wine”, Xutao Hong, Jing Chen, Lin Liu, Huan Wu, Haiqin Tan, Guangfa Xie, Qian Xu, Huijun Zou, Wenjing Yu, Lan Wang & Nan Qin, – in Scientific Reports volume 6, Article number: 26621, year 2016). The recent metagenomic experiment about the wine of rice is very interesting when we remember that the first archeological traces of wine can be actually found in China, in 7,000 B.C., when first type of wine in human history was a fermented mixture of honey, “rice”, grapes and hawthorn berries. Further, rice wine is still a widespread beverage in China today, while the first pure wine of grapes can be dated to 6,000 BC and geographically placed in the region of Georgia and the Caucasus in general. From that area the wine making, then, spread to the Phoenician, Greek and Latin world. Particularly, the Chinese scientists investigated the influence of microbial composition on the quality of rice wine, and sequencing was performed for 110 wine samples on bacterial 16S rRNA gene and fungal Internal Transcribed Spacer II (ITS2). Bioinformatic analyses demonstrated that the metagenomics of rice wine is marked by Lactobacillus brevis. These results led to a conclusion that metabolisms of microbes influence the wine quality and can mark it. 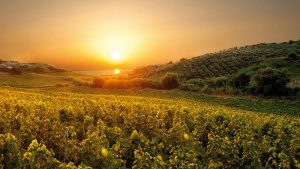 The new techniques of Metagenomics are a new wide open field for proving the best quality of Calabrian soils and of their vineyards. Further, archeology of wine can avail of this method to investigate history of wine in the south of Italy, as environmental heritage of Phoenician, Greek and Latin history into Calabrian wines. However, even if Calabria got a real rich selection of magnificent wines, they all less known, comparing them to Ciro’. Like most wines produced throughout the world, Ciro is meant to be consumed 3-4 years after production, but some Ciro Rosso can be aged 10+ years. This explain, partially, its international success. Further, in the province of Reggio Calabria there are many IGT zones including Arghillà, Costa Viola, Locride, Palizzi, Pellaro, and Scilla, and clearly these local wines are mainly for daily consume. They are associated with a tasty regional cuisine, for example the wines of Costa Viola region, along the western Calabria seacoast, are related to Swordfish and goat dishes. Only Ciro’ can be associated to all Mediterranean cuisine and this contributes to explain why is the best known Mediterranean and Calabrian wine, in Italy and in the world. There are three standard types produced including a rosso (or red) made from the Gaglioppo grape, rosato (rose), and bianco (white) made from the Greco grape. Some rosso wines also contain a mixture of Greco and Trebbiano white grapes, but it must be less than 5 percent to meet DOC standards. Calabria is bordered to the north by the region of Basilicata. The rest of Calabria is bordered by the Ionian and Tyrrhenian Seas. Even if it is one of the poorest regions in Italy, its economy stands out for its wonderful agriculture, including grapes, figs, olives and citrus fruits. 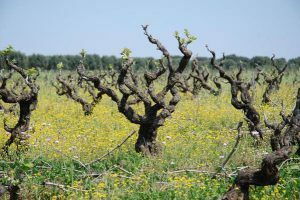 The Ionian Sea has a moderating effect on the temperatures for the vineyards nearer to the coast, and the area is still quite hot and dry during the day. Due to these excellent conditions of altitude, temperatures cool down a little at night, which allows the grapes to continue to develop thru the growing season. The soils are a mix of clay, sand and marl, which is good for wine growing. The proximity of Mediterranean Sea is decisive for the terroir, as the mass of water helps to moderate the intense heat of the south Italian summer. The cooling and heating of the land, over the course of a summer day, causes morning and afternoon breezes, which minimize the risk of fungal vine diseases and further improve the climate’s suitability for quality viticulture. Another key factor is that the vines grow very well, because, in terms of the topography, there are some flat long areas near the coast (less than 10% of the total country), even if most of Calabria is mountainous. This way, the Cirò wine region is located in such flat areas in the eastern foothills of the La Sila region and extends to the Ionian coast. However, the heart of the region classical Ciro’ is centered on the municipalities of Cirò and Cirò Marina in the province of Crotone. The soil of this area is predominantly calcareous marl with some clay and sand deposits. Further this ancient Calabrian wine region is a sunbaked southern Italy and offers a gorgeous countryside of ancient olive trees and undulating vineyards planted with a unique red grape—Gaglioppo. The Gaglioppo grape is usually the main component of Cirò, giving it soft red fruit, allspice and cinnamon flavors, notes of walnuts, and a bright, acidic structure that matches up nicely with spicy meats, stuffed peppers, and pizza, lamb, and even fish like swordfish and sardine. The Gaglioppo grape is indigenous to the area. The wines it produces are unique. The grape’s meat is lightly colored. While the skin of the grape is thick, it does not have many tannins. 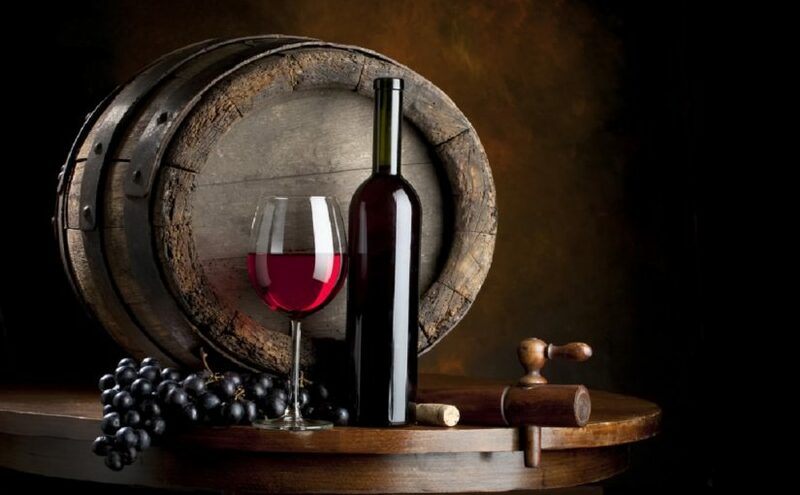 To produce quality wines, producers must be willing let the grapes get fully ripe and then allow the juice to have contact with the skins for a long time to absorb both color and the tannins for structure. To do this well requires temperature controlled modern equipment which can be expensive. Another very similar DOC zone in Calabria is Melissa (about a 30 minutes’ drive south of Ciro’). The region of Melissa uses Gaglioppo grapes and produces Ciro’-like wines (mostly from Gaglioppo and Greco Nero), but does not have the same reputation (at least outside of Calabria) as Ciro’. Instead, the region of Ciro’ is situated on the eastern tip of Calabria, about a 4 hour trip north from Reggio Calabria. Here, the area, the vineyards and the grapes of Ciro’ are designated as DOC wine or “Denominazione di Origine Controllata” [DOC is basically a label meaning that any particular wine from an officially recognized region of Italy must be produced in specific well-defined regions, according to specific rules designed to preserve the traditional wine-making practices of the individual regions]. Given that Ciro’ wine is made in the eastern foothills of the La Sila plateau and out to the Ionian coast, in the Ciro, Ciro Marina, Crucoli and Melissa communes, – then the highest-quality grapes come from vineyards employing the alberello basso vine training method, meaning grapes are harvested by hand due to their bushy shape. For economic reasons many modern vineyards have abandoned this traditional process, turning instead to the espalier trellised vine training system. While espalier-trained vines are easier to harvest, the quality of their fruit is considered inferior to those grown on the alberello bush vines. The wines of the region are predominantly red containing at least 95% of the Gaglioppo grape and up to 5% of the white Greco bianco and Trebbiano grapes permitted. Rosés and white wines from at least 90% Greco bianco and up to 10% Trebbiano are also made in Cirò but in very limited quantities. While a common synonym of Trebbiano is Greco, the grape is separate and distinct from the Calabrian wine grape Greco bianco. The designation of Cirò classico will only appear on red wines. Red Cirò is typically very tannic and full bodied with strong fruit presences. It is recommended to consume it 3–4 years after vintage but it can take more time to soften the tannins. It is said that Cirò was offered to winners of the ancient Olympics. Local legend tells that the grapes were used to produce Cremissa, in a Greek colony known today as Cirò Marina, a beverage offered as a toast to the gods by the Olympic champions of ancient Greece. Also for this reason in the 1968 Olympics, the athletes were all offered Cirò with their meals during the competition. Indeed, the Greeks came to the area bringing the art of winemaking. They called the area Enotria that meant “land of the wine”. There are records from the 4th century B.C., which indicate a vineyard in this area was worth six times the value of the same size field planted with grains. Therefore, Cirò has ancient roots. Cirò may be the oldest wine in the world still produced today. There are about a dozen producers of Cirò bottling about 30,000 hectoliters per year. Cirò is made also a Bianco (White), and Rosato (Rosè), but it is the Rosso that is most famous. The Rosso must be made with at least 95% of the wine coming from Gaglioppo grapes. The remaining 5% can be Trebbiano Tuscano or Greco Bianco grapes. There are five additional designations for Cirò Rosso; Classico, Superiore, Classico Superiore, Riserva, and Classico Riserva. The first three are geographical restrictions while to carry Riserva title on the label the wines must be aged for 24 months before release. It may be surprising to learn that a deep red wine from the south of Italy can be made with a portion of white grapes, but this is not as unusual as it might seem; the robust reds of the northern Rhone valley (Cote Rotie, for example) are often made more supple and alluring with the addition of Viognier, sometimes as much as 20%. The Ciro Rosso Riserva wines represent the finest that Ciro, and indeed Calabria, can produce. These are matured for at least two years before commercial release, of which six months must have been spent in oak barrels. 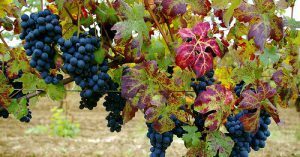 Those bearing the term classico are from grapes grown at the very heart of the catchment area, and are theoretically superior. The wines are universally tannic and full-bodied with good structure and a high alcohol content of up to 14%. They are generally intended for consumption within five years after vintage, but it can take up to ten years to soften out the tannic structure in the more robust examples. About the general tasting notes, these wines are substantial, containing aromas of red fruits and spice complement undertones of cranberries, wild berries, and plums. On the palate, ripe tannins and substantial body make for an incredibly rich, yet easygoing red wine. About Food Pairing, the wine can pair with sausage, spicy curry sauces, hot soppressata, and tandoori chicken.